1. Hackers in the home? This year’s MWC marks ESET’s 30 year anniversary. 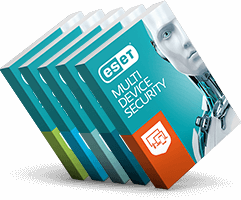 For three decades ESET experts have single-mindedly focused on protecting its customers from complex threats. This year, meet ESET Chief Technology Officer Juraj Malcho and Tony Anscombe, ESET´s Global Security Evangelist, ESET's Security Awareness Specialist Ondrej Kubovic and Director of Global Sales Jeronimo Varela, at ESET’s booth, 7H41. To set up a meeting with ESET experts, and to see a full rundown of ESET’s activities at MWC, click here. Follow the latest updates from ESET at MWC 2018 via Facebook, Twitter, LinkedIn and Instagram.